The Ireland Funds 2018 NJ Golf Classic Committee with Honoree Bob Garrett. L – R: Kyle Clifford, Anthony Callaghan, Eddie Dowling, Michael Higgins, Bob Garrett, John Fitzpatrick, Martin Kehoe, Angus Miller, Pat Leahy, Matthew McBride, George Stall, Michael Hurly, and Pat Tully. 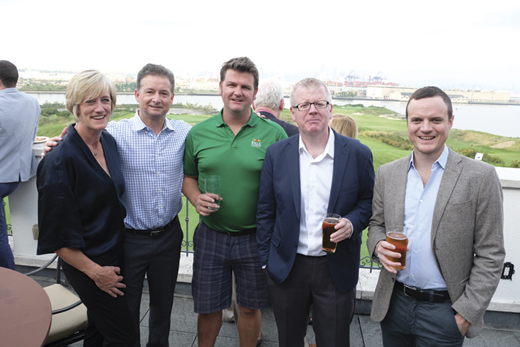 On Monday, October 1st, supporters of The Ireland Funds gathered at Bayonne Golf Club for the 16th annual NJ Golf Classic. This year’s honoree was Bob Garrett, New York Office Managing Partner, KPMG LLP. 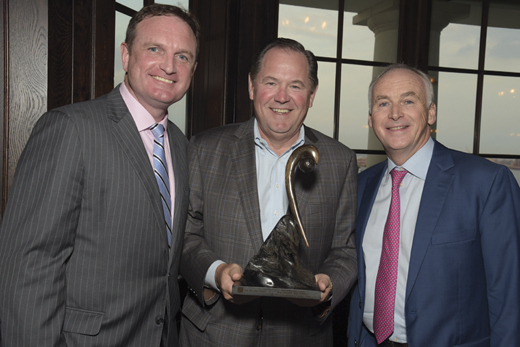 Kyle Clifford,2018 honoree Bob Garrett, and John Fitzpatrick. After the opening brunch, Pat Tully, The Ireland Funds America VP of Development, welcomed the guests, went over the rules for the day and sent the golfers out on to the challenging links of Bayonne. Later that evening, Kyle Clifford, The Ireland Funds America Vice President of Development, opened the formal dinner program, thanked the committee, co-chairs and sponsors and welcomed honoree Bob Garrett to the podium to accept his award. Bob thanked his friends and KPMG Partners in attendance and spoke warmly about the key work that The Ireland Funds does for Irish causes around the world. Patrick Murphy, Michael Higgins, Loretta Brennan Glucksman, and Maureen Sullivan. 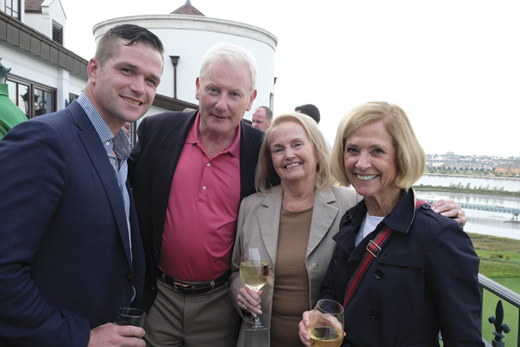 The Ireland Funds America Chairman, John Fitzpatrick, then addressed the supporters and announced that the event raised over $250,000 to assist Irish charities through The Ireland Funds’ grant round. Pat Tully followed John Fitzpatrick with a spirited live auction including a VIP trip to the All-Ireland Football Final in Dublin in September 2019. Following the live auction, The Ireland Funds America Chairman Emeritus, Loretta Brennan Glucksman thanked John Fitzpatrick and congratulated the committee on another successful NJ Golf Classic. Hillary Toohey, Tony Dunne, David Evans, Barry Harbison, and guest.